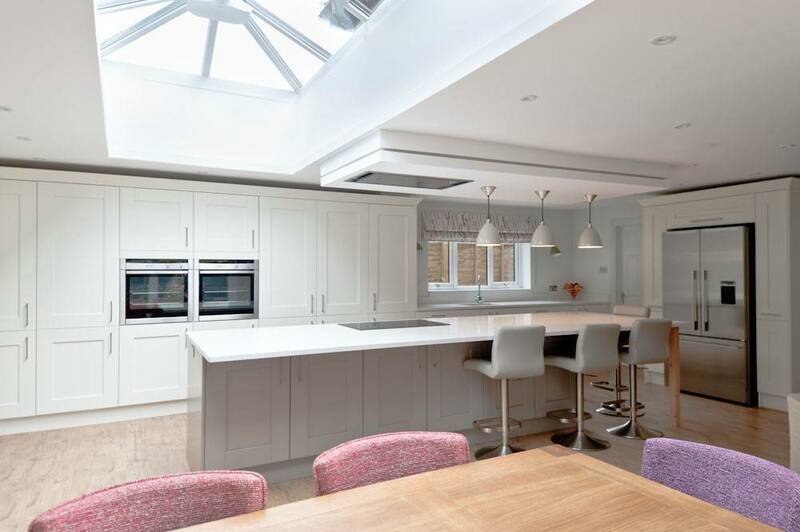 Sharon and Ben got in touch as some design ideas they had looked previously at weren’t delivering the impact and ‘wow’ they wanted to achieve in their new kitchen extension. 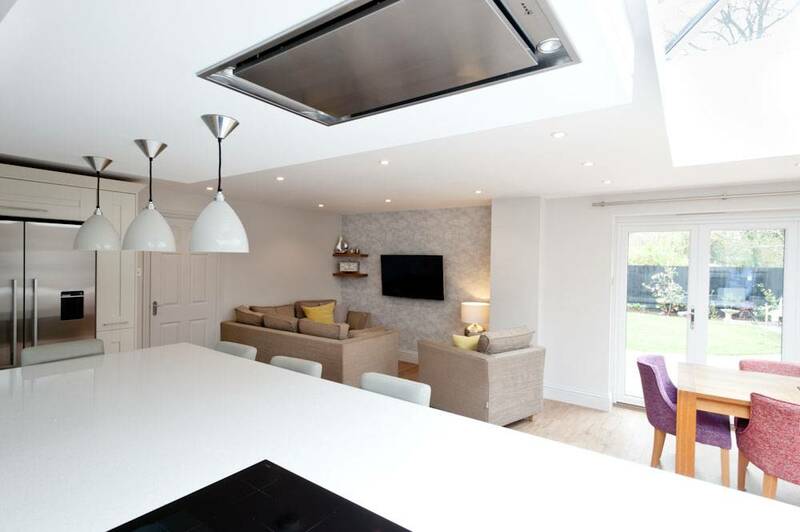 They wanted their newly extended kitchen to have ‘show home’ feel. To be a stunning, light and airy living space, for the whole family to enjoy. They wanted to make maximum use of the new space they were planning to acquire with their extension and for the space to be modern but relatively timeless and super functional and easy to maintain. 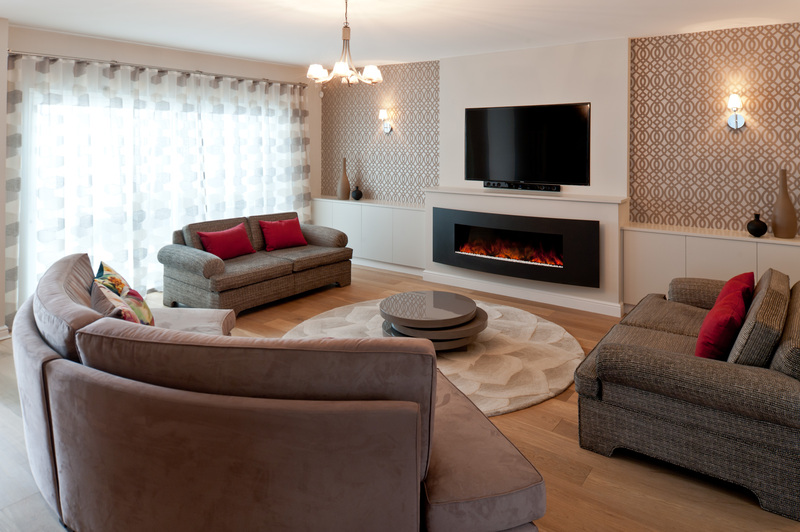 We ensured that the design of this room turned their new space into a multi functional area for all the family, by offering a light, practical, yet fun, living space. 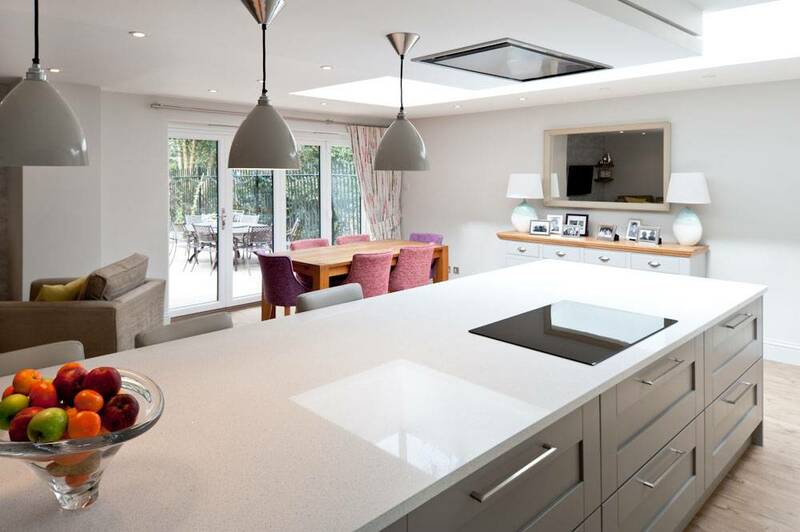 The main focal point is the huge long kitchen island, which is central to the kitchen, and allows the chef to always be part of what’s going on! Plus they also get to enjoy the great garden outlook through the new bi folding doors. 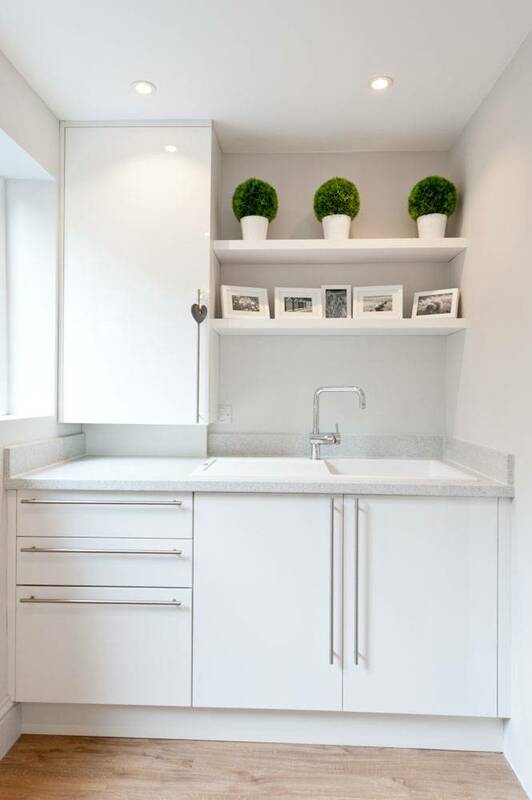 The whole room is streamlined with great storage solutions including larder cupboards with bespoke slide away doors, meaning appliances such as kettle, toaster never has to be on show. 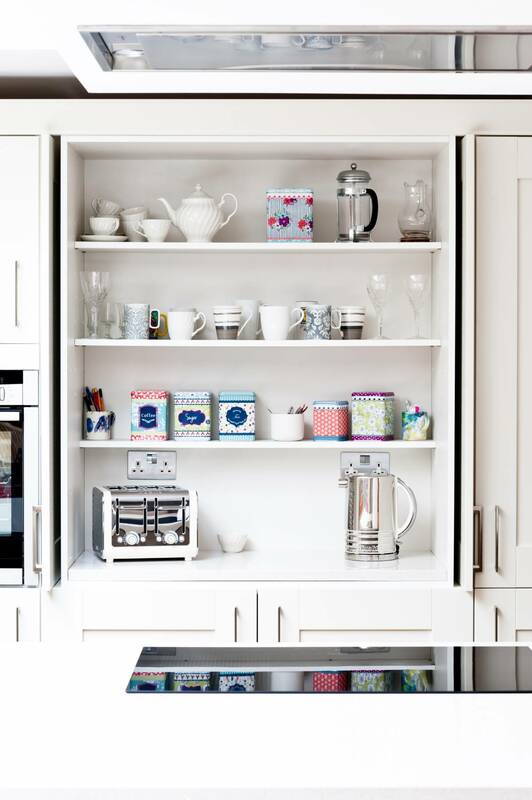 Each cupboard also has an integrated storage solution to really maximise space throughout the room. Fundamentally, not only does the room look fantastic, it’s also durable and easy to clean, perfect when living with teenage boys and a dog! 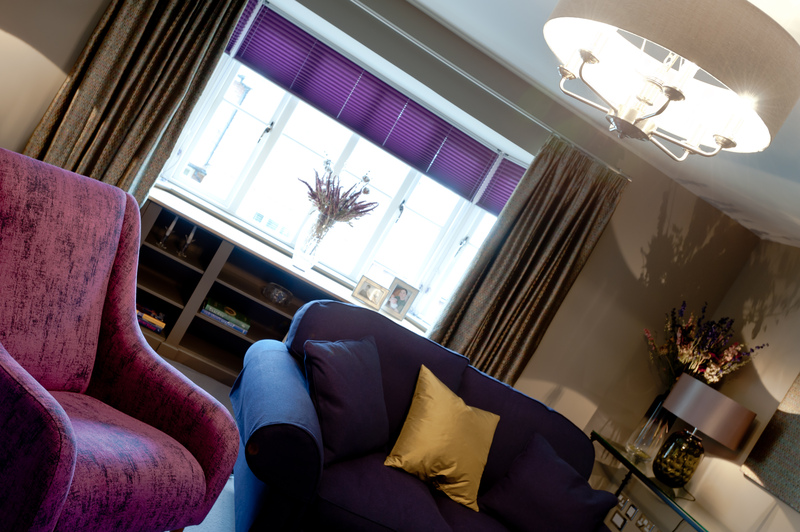 We wanted to give each zone offers a distinct feel, whilst still working as an overall room. Wallpaper defines the cozy TV area, texture and little bursts of colour are brought through in the dining chairs, and finally a mirror and sideboard to cement the dining area and add warmth to the clean spacious surfaces in the kitchen. All tied together with ever practical Amtico flooring! Not to be forgotten, our design flows into the utility room, so that this room is still an intricate part of the house, used daily and is visible from the kitchen. Overall we love it but we’re also thrilled that Sharon and Ben are enjoying it so much and that the kitchen has become a real party space for them! It was just lovely when they let us know how much the space has transformed the way they interact as a family and all spend much more time together.